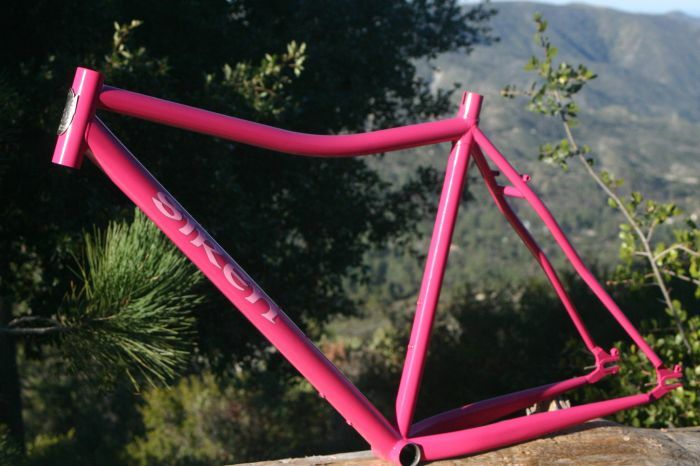 We whipped up this Pink Panther for Fixie Dave. This is no ordinary John Henry. 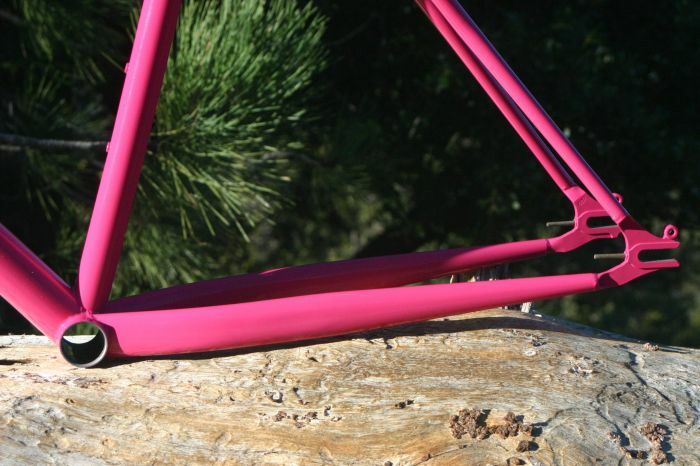 Dave’s bike is bigger, badder, and certainly pinker than most. The oversized chainstays can take a real beating while offering humongous tire clearance for even the biggest post-apocalyptic inspired meats. (so big we had to dimple the drive side chainstay for chainring clearance) The horizontal dropouts, lack of cable routing (no brakes, even) speak to the dedicated fixed gear use for this bike. 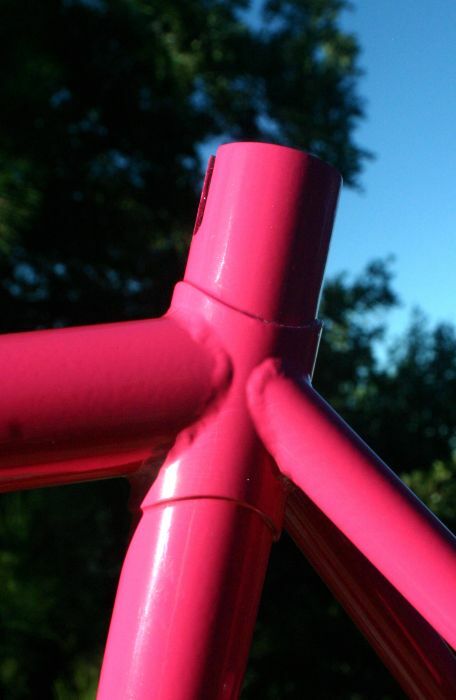 The idea for this seat tube reinforcement came to me last year, when I shuttled and rode a day to Silver City with Dave on his South-to-North Tour Divide attempt. 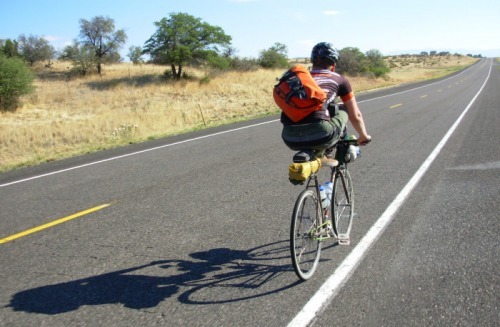 Because he rides a fixed gear, he tends to coast down the bigger hills with his feet on the bars, as illustrated below. Think of the reinforcement here as an ounce of prevention. Look for this bike in and around Hurricane, UT and Over The Edge Sports. And Dave coasts like than on trails, too! Yeah, I ride fixed on trails as well, though I coast with my feet on my rear rack on the road and don’t off road. I have the fortune of having coffee with Dave and the OTES peeps and I have touched the finished bike.To see this thing of beauty and is remarkable. You should see where he added the 4th water bottle. Fixie Dave has got one hell of a bike. He keeps it real. Great job. (including, of course, the feet-on-the-bars coasting).